This week we continued taking the steps towards 0.2.0 Update. Avalon, the last of the Old Worlds, has been shut down and all the remaining characters were safely transferred to Epleland along with their inventory. Today we updated our promo page about 0.2.0 with a detailed FAQ section. You can find the detailed info about transfer there, as well some other useful info that will get you ready for the update, however, if you can't wait to find out all the details about traveling to the New World - you will find main details and tips below! You will be able to transfer your character from Epleland to the New Map once, unless you choose to stay and continue playing on Epleland. All your unused Abella tickets remain. However, the characters will be transferred to the New Map with an empty inventory and a limited amount of skill points (see below) and guildless. It will be simple to transfer your character from Epleland to the New map by using the ‘Prayer for a Far Journey’ ability (Minor skills -> Piety). But remember, you will not be able to come back to Epleland ever again! Now that you know how to travel to the New World, you are probably wondering what it’s called. 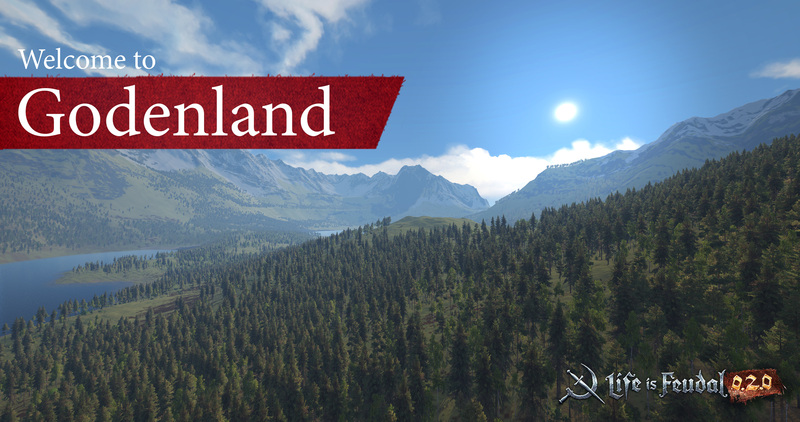 Well, we are super excited to reveal the official name of the New Map - Godenland! Feudalize your device with another pack of brand new wallpapers for your mobile devices and PC desktop! or read a written summary here.